Who doesn’t dream of gliding through the sky like abird? Marvelling at the impressive Pustertal Valley views turns flying into an even more spectacular experience. 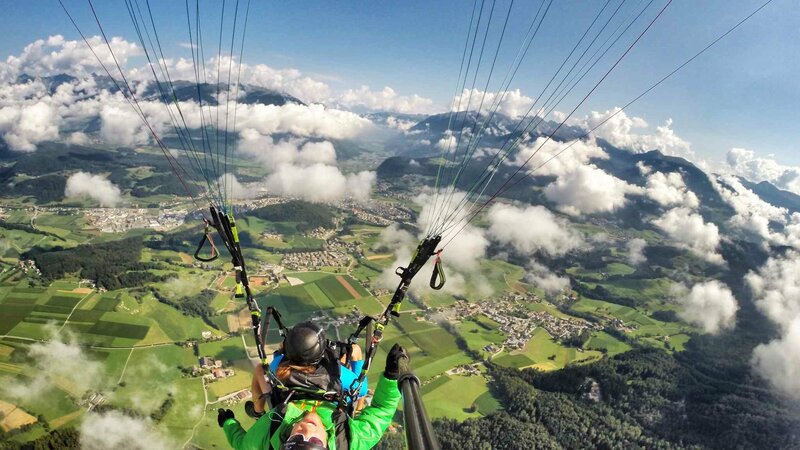 A tandem paragliding flight doesn’t require sportiness or previous knowledge. From the top of Mount Kronplatz (2275 m), which can be conveniently reached by cable car, trained paragliding experts will take you on an unforgettable journey across the unique landscapes of the Pustertal Valley, high up above the trees. Tandem pilots are happy to take command and handle nearly everything by themselves. It is sufficient to run along a few meters at the takeoff and landing, and otherwise to just float in the air high above the Val Pusteria.